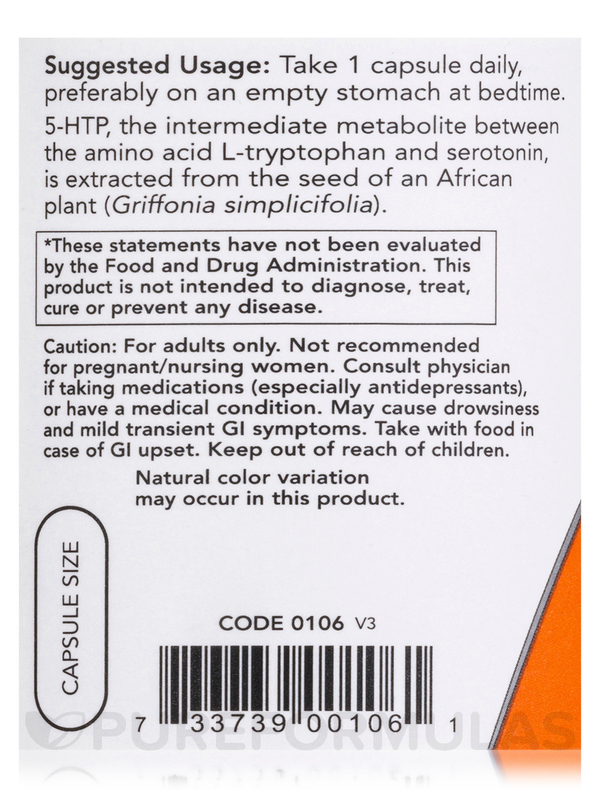 5-HTP 100 mg by NOW helps my mood and also helps me sleep. 5-HTP by NOW is helpful for me to get a full night's sleep. 5-HTP 100 mg by NOW is the best price and fast shipping. Taking it for years -- great product. Notice: Natural color variations may occur in this product. Struggling with sudden vertigo and can only connect it to 5-HTP 100 mg by NOW plus some online info. 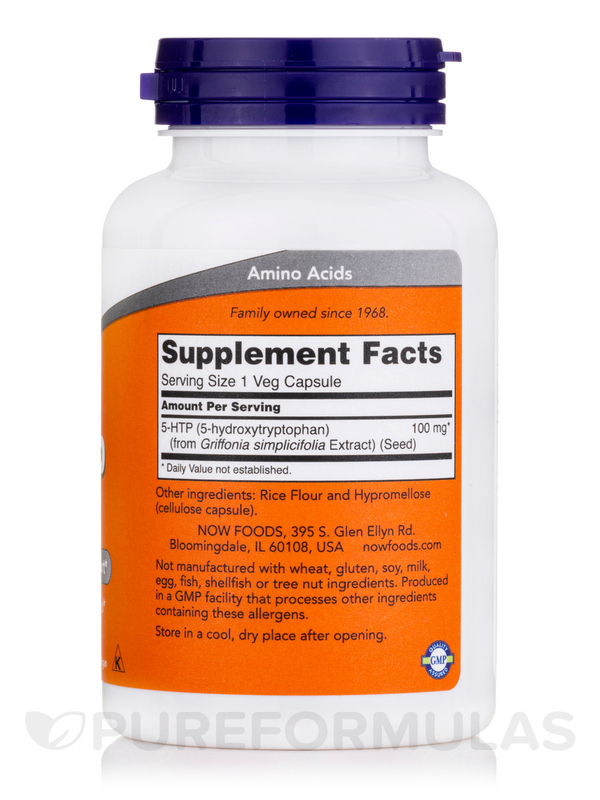 that messing with this amino acid can cause some undesirable side-effects. I will certainly change this review if it's not the fault of this supplement! Thought it was helping with my sleep. Helps me sleep though the night and helps with my mood. Reliable, easy to swallow, helps with sleep. 5 HTP by NOW sent my anxiety through the roof! tried twice to see maybe if I was taking it incorrectly and it did the same thing... I guess it's not for some people... I tried :( Rhodiola by new chapter and Theanine Serene with Relora saved me!! 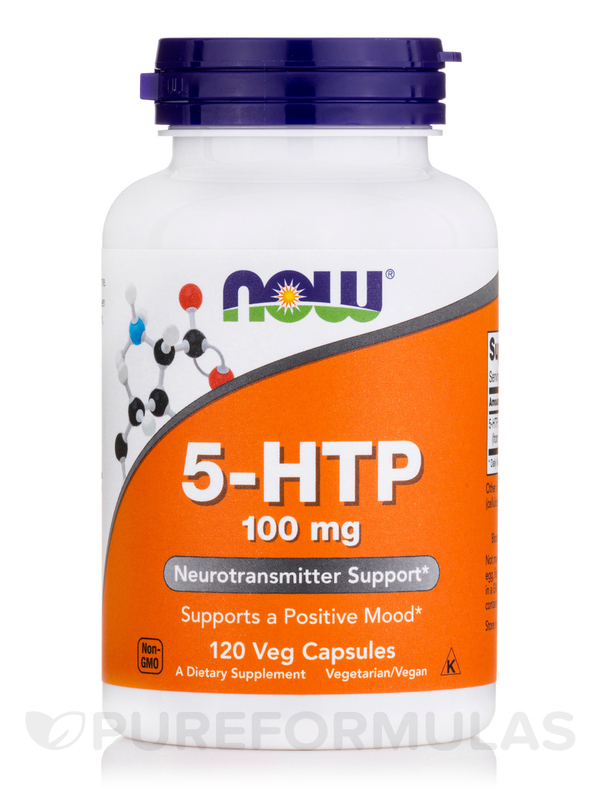 NOW Foods 5-HTP helps with anxiety, depression and insomnia. 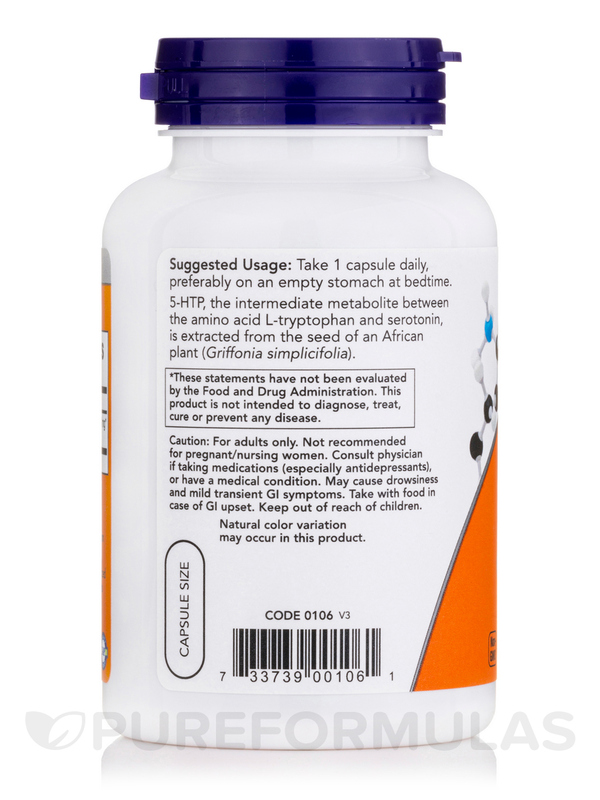 5-HTP was recommended by my doctor. I have tried a few brands and he felt I could save money with NOW product. Yes, 5-HTP by NOW works in calming me down and with anxiety. I will order more NOW products and would order 5-HTP again. The price, the discount on NOW, information on the label told me exactly what to expect. I have insomnia and NOW 5-HTP helps me sleep. My husband has essential tremors and he is trying it to get some relief. Haven't noticed a difference yet but he is suddenly hyperthyroid as well and is under medical treatment. Works for my sleep issues, not sure about calming hubbys tremors. Part of bedtime regime for chronic insomnia. 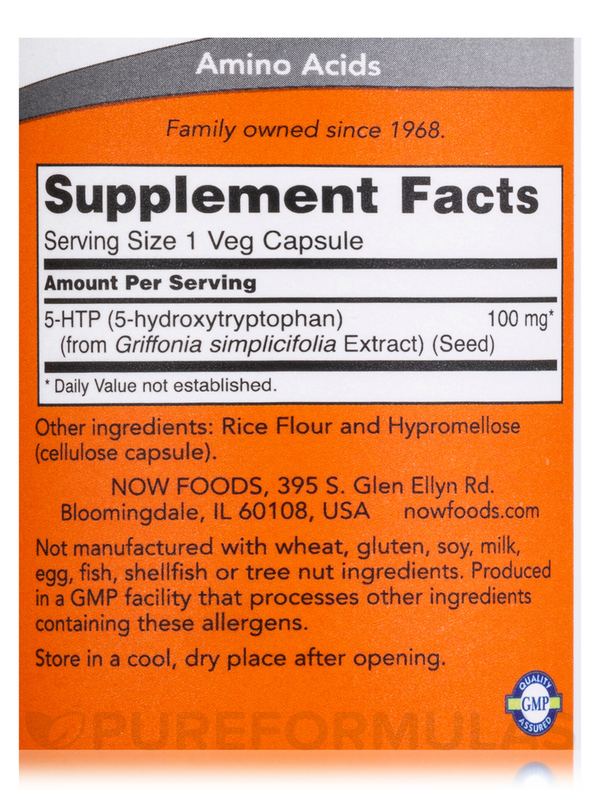 I Used 5-HTP by NOW Foods with GABA-750 and theanine have successfully weaned completely off long-term use of Ambient. Im very pleased!